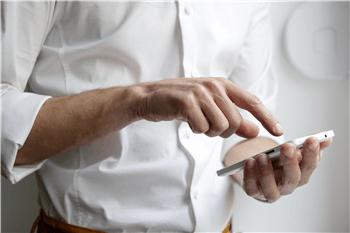 While text messages have revolutionized the way humans to communicate with one another, there are some problems that have come with this new technology. While you have the ability to message your friends and family, text messages can cause a huge distraction in our day to day lives. However, while us adults can deal with distractions or have our own ways around it, our children might not have so much willpower. With children averaging around 4-7 hours of their smartphones, computers, and tablets, it’s important for parents to be aware of what their children are doing. If texts are distracting your children, whether they’re at school, going to bed, or are studying, using a text blocker app can be a great way to minimize this problem. If your kids are receiving messages from unsolicited people, using a text blocker can also be a great way to keep these texts away. Today, we’re going to explore ten of the best text message blocker app for both Android and iOS devices, so you can choose the best one for you. 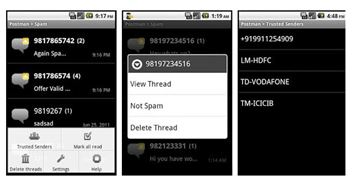 This is a dedicated SMS filter which prioritizes your privacy. You can filter through and block messages based on certain keywords or using crowdsourced data from your region. 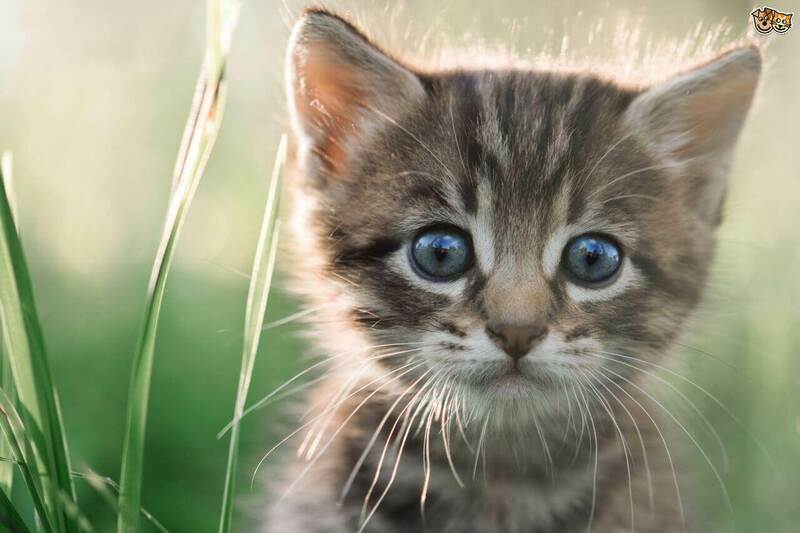 There are also whitelist features to stop your friends from becoming blocked accidentally. Rated one of the best Android text blockers, there are so many options and filters available here that you can enjoy one of the best and most personalized filtering experiences. There are even customizable interfaces, and it doesn’t slow your phone down! 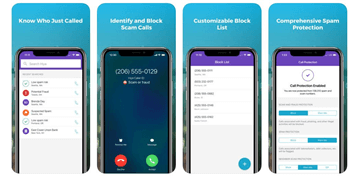 While this is marketed primarily as a call blocker, the app has a gorgeous interface and does come with some built-in text blocking features. It’s easy for you to see what messages have been blocked automatically in case you miss something important. 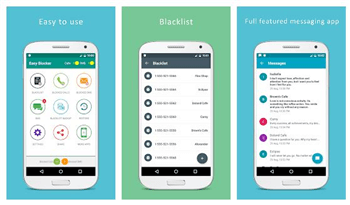 BlackList is a complete call and SMS blocking app for Android that allows you to create a blacklist of numbers you wish to block completely. The app is simple, beautifully designed, but does require the xposed framework to operate. 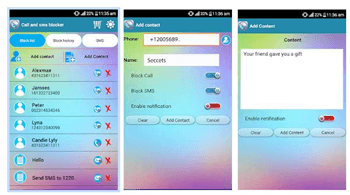 This is a powerful call and SMS blocker where you simply block the number of the contact or unknown number, and you’ll be unable to receive calls and texts from that number. You can even set up codes that block entire area codes, or even entire countries! 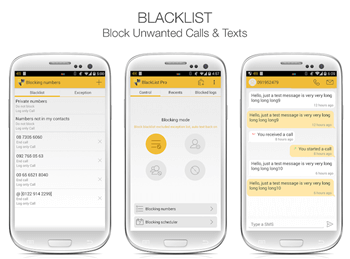 While marketed as a call blocker, this is a powerful contact blocker that can be used on both calls and texts. This is, in fact, a fully-featured messaging app to replace your default messaging app, but then has the blocking features fully integrated into it. 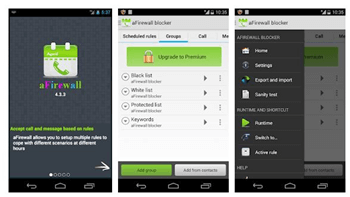 aFirewall is a really basic call and SMS blocker that uses blacklisting filters to block messages and calls from unsolicited numbers based on the feedback of the user community. You can also whitelist numbers, block based on keywords, and add a protected numbers list. While this is a rather dated text blocker, it does exactly what it sets out to do in the simplest way. Received a text from a number you don’t want to contact you? Simply block it, and that’s all you have to do. 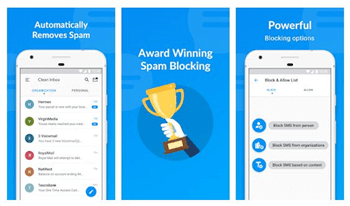 As the title suggests, this is a dedicated iPhone SMS blocking app that’s designed to make it easy to block unwanted messages. You can do this using a filter, by keywords, by numbers, or by using the ‘wildcard’ rule. 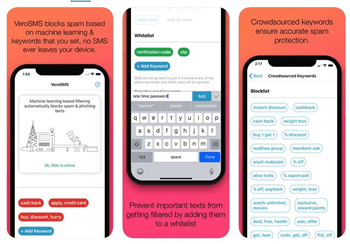 Designed to free you or your child’s device from unwanted calls and text messages, you can simply block all communications and whitelist the people you want or blacklist the people you don’t want to contact you. While your average text blocker, like the ones we’ve listed above, can help you regulate who your child speaks to via text and call, it’s a rather basic function that only covers one base. If your child has their own device, the chances are that they’re using the internet to talk to their friends anyway. This is where you’re going to need a parental control app to step in and help you understand what your child is up to. Using FamiSafe, you can toggle between different types of online content filters from a range of different categories to block that content from appearing on your child’s phone. You can also type an individual URL to block an entire website. 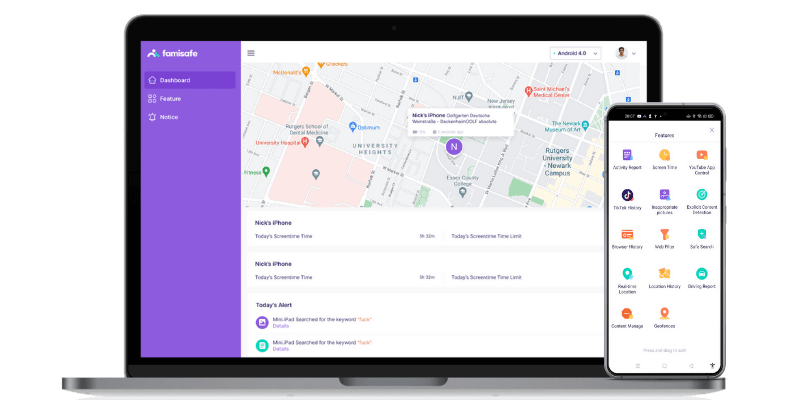 You can also track your child’s real-time location using the GPS location information of your child’s device. This way, you can make sure you know exactly where your child is at all times, and that they are where they’re supposed to be. You’ll also be able to set up geo-fences, which are digital boundaries on a map. If your child passes one of these boundaries, you’ll receive a notification. On the FamiSafe app block feature, you can track what apps your child is using, how long for, and which apps they are installing and uninstalling. If your child is using an app too much, you can simply block it. Additionally, you can set up an app schedule, which means the app will only be able to be opened if it’s a certain time of the day. This is great for school time, study time, bedtime and family time. Similar to the app block feature, you’ll also be able to see how long your child is using their device for in total, the apps they are going and what time of the day they are using their device. You can then block access to the device when you need to. As you can see, there are plenty of options out there when it comes to blocking unwanted text messages or your child’s phone. However, mixing these text blockers with the power of a parental control app like FamiSafe, and you can be sure your child is well protected at all times. FamiSafe is available for both Android and iOS devices and can be downloaded for free via the app store. There’s even a free trial period, so you can see whether this is the app you’re looking for!